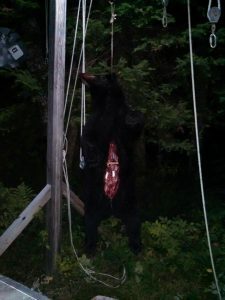 This is a far reaching multiple odor lure to which bears are highly attracted. Some ingredients are beaver castor, honey, blue berries, sweet smelling phenyl acetic acid, and other favorite bear smells. 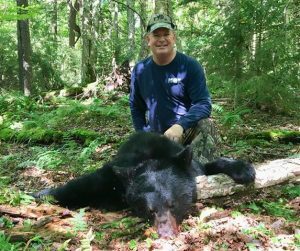 Hunters tell us when they place Pollick’s Black Bear Sweet lure at their bait sites, it is the first thing the bear heads for. 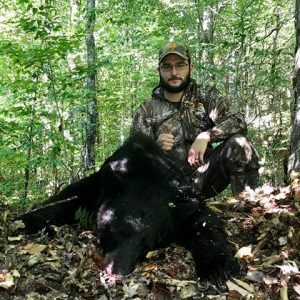 The Sweet Mix did its thing on opening weekend of Bear Season in New York! Nose in the air looking all around for something. 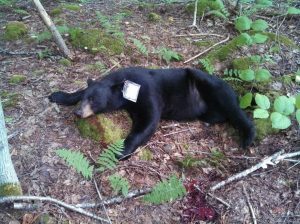 My past bear hunts in Maine were a success with my Pollick’s Black Bear Sweet Lure. I have taken home 2 Black Bear approximately 300 pounds each. All I did was cover scent myself with Pollick’s Earth Scent and I also put the Sweet Lure on my bait bag, as well as on a nearby stump between me and the bait. Both bear went straight to the stump approximately 20 yards away from me. I headed back up again this year for the 2014 season and I got a 220 pound bear the first night of the week hunt.